You will never head to the beach or pool and forget your towel again. This bag uses a towel with a self containing pocket to hold a towel, sun screen, water bottle, and any other beach accessory. 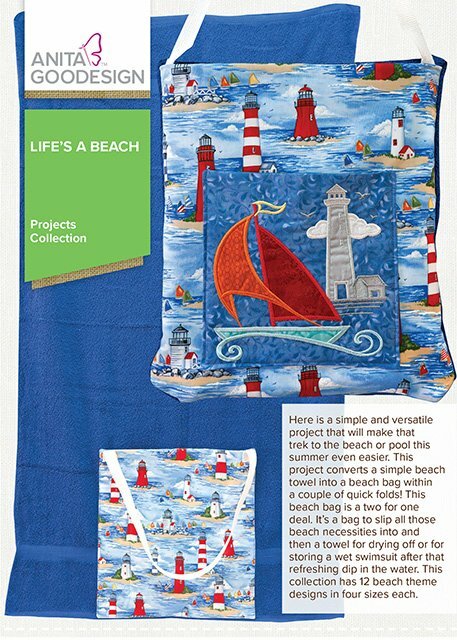 You can purchase the Anita Goodesign pattern containing the embroidery files and pattern, or just come to class to learn the steps to create your own bag without the machine embroidery. It's a class for those with and without embroidery machines.